Building a website is like building a house. Before you can build a house you have to have the land to build it on. 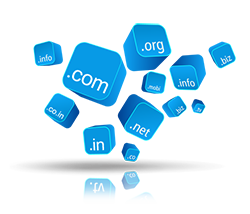 A domain name is your street address on the web; the first step in having a successful online business is getting a great domain name. Let us help you register the perfect name for your business. 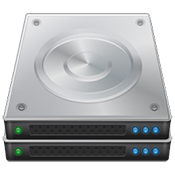 Looking for easy, reliable hosting at a great price? Give us a call and we will help you decided the hosting that is right for you. We take the hassel out by setting everything up for you and with local support you know you are in good hands. Establish yourself on the Web! A great website is very important to the success of an online business. Without the right look and proper navigation, your customers may feel lost and confused. Star Communications specializes in helping your business develop a successful presence on the Internet. 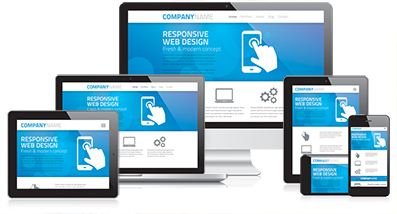 We work directly with you before, during, and after design and implementation of your website. We assist you in developing successful marketing on the Internet and bringing high visibility to your website. Build a Website without the Hassle! If you have ever wanted your own website but found it too difficult or expensive, Star Communications Web Builder is perfect for you! Our online site building solution eliminates the need for technical know-how while helping you build a powerful site in a few simple steps. Star Communications Web Builder is browser-based, meaning you can use it online without having to download any software. More than 10,000 customizable templates, allowing you to create a unique look and feel for your site. An advanced tool that lets you create your own animations, complete with music and on-screen messages. Easy to use extras to spice up your site. These include a hit counter, Google search box, maps and a “translate my site” feature. The ability to create photo albums and a guest book. Unique page templates that allow you to build page layouts or publish a resume in minutes. Interactive forms that let you collect information easily from your website visitors. Help available at virtually every step of the design process. Professional websites don’t have to cost thousands of dollars, or require technical experts. Star Communications Web Builder makes complex web design easy.